I am a complete beginner. What do I need to start exploring the night sky? What do you need to take quality pictures of objects in the night sky? Are there programs that can help me learn about interesting astronomical objects and help me develop my skills as an observer? What does it take to make observations that contribute to scientific research? Where can I find people who I can talk to about astronomy and space science and who are as enthusiastic about space as I am? The Fair will also provide an opportunity to purchase, sell, or trade the equipment needed for observing. Our telescope library will be selling a large quantity of high-quality, gently-used gear and the only vendor of serious astronomy equipment in the State of Oregon, the Oregon Observatory at Sunriver, will be visiting and bringing their inventory of new equipment for sale. We will also be holding a swap meet where anyone can buy, sell, or trade astronomy gear. 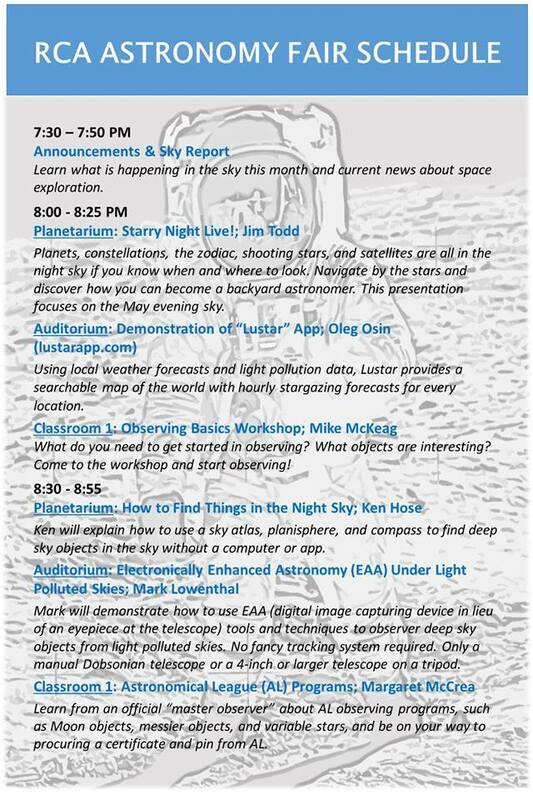 This is a great opportunity to get set up before the skies clear and the observing season begins. Also the Book Library will be having a sale — bring quarters! We love sharing our passion for astronomy and we’d love to share it with you. Hope to see you there!